Stay safe during difficult work days with the reliable protection and comfortable support of the Detroit Mid boot from Keen Utility . 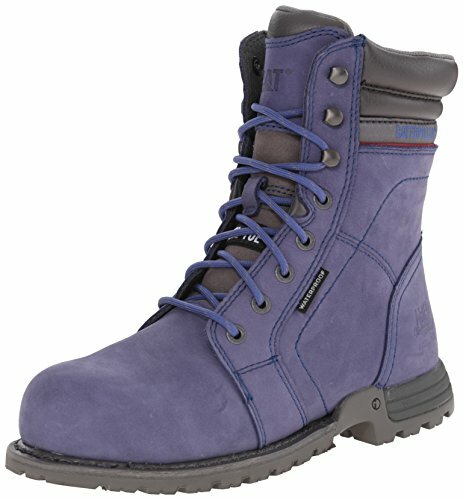 Tough steel toe work boot built on a women's specific last. Waterproof nubuck leather upper. Reflective webbing provides additional visibility and safety. 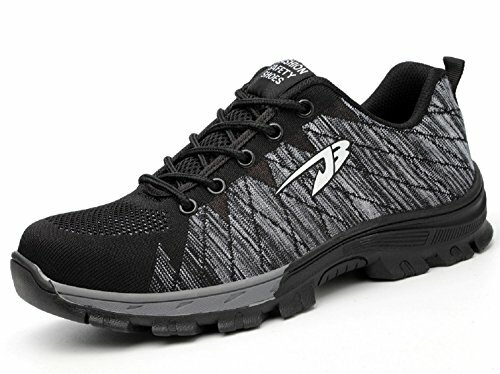 Features left and right asymmetrical steel-toe design provides a roomier toe box and maximum comfort. Keen.Dry waterproof breathable membrane locks out rain and humidity, but releases the heat and perspiration created throughout a hard day's work. Removable metatomical dual-density EVA footbed is an internal support mechanism that's anatomically engineered to provide excellent arch support while cradling the natural contours of the foot. Torsion stability ESS shank. Dual-density compression-molded EVA midsole. Contoured heel lock. Dry-Lex footwear lining with hydrophobic/hydrophilic 2-zone comfort technology. Oil and slip-resistant non-marking rubber outsole. KEEN.PROTECT patented toe protection has the shoe outsole wrap up and over the toes for ultimate protection. 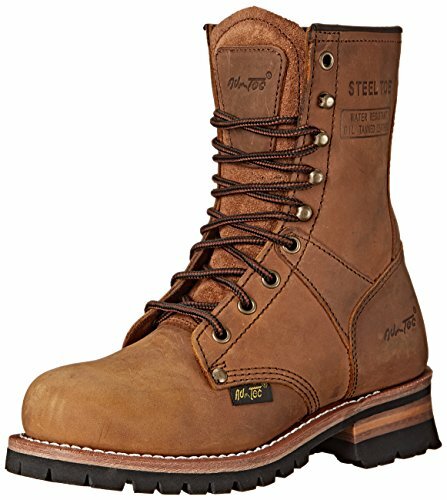 Unique anatomically-correct steel-toe design meets ASTM F2412-05 and F2413-05 I/75 and C/75 standards. Imported. Measurements: Weight: 2 lbs 1 oz Product measurements were taken using size 9, width B - Medium. Please note that measurements may vary by size. Weight of footwear is based on a single item, not a pair. 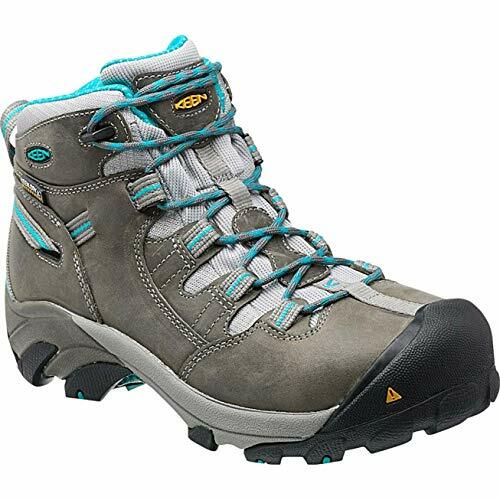 Stay safe during difficult work days with the reliable protection and comfortable support of the Detroit Mid boot from Keen Utility . The Georgia GR262 Georgia Giant Romeo is a high performance shoe with superior comfort for all-day wear. Full grain leather upper. Stretchable nylon panels on each side for easy flexibility. Two nylon pull loops for easy entry. High performance textile lining for added breathability. Goodyear Welt construction provides superior durability. Cushion insole provides underfoot support and comfort. EVA midsole has excellent cushioning for shock absorption and support. Oil resistant rubber bumper guard. Steel shank. 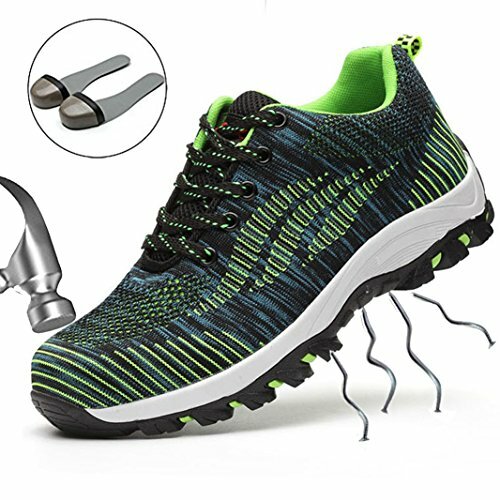 Oil-resistant "Crepe Wedge" outsole. Wedge shape design of outsole provides added arch support. Imported. Measurements: Weight: 1 lb 14 oz Product measurements were taken using size 10, width D - Medium. Please note that measurements may vary by size. Weight of footwear is based on a single item, not a pair. Seems like things are done a little differently down South--They'd prefer you walk the walk rather than talk the talk. This work horse from Georgia Boot will help you do just that. 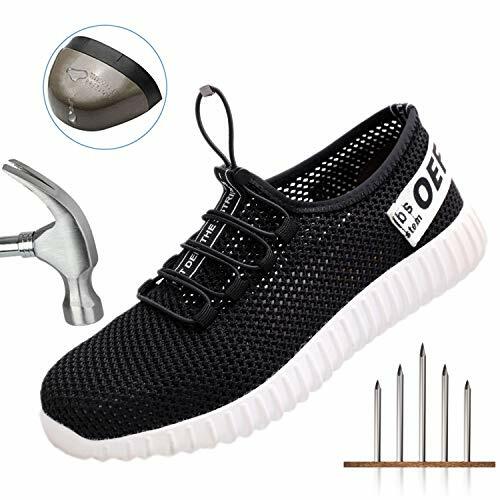 Its pliable leather upper, lightly padded collar, thickly padded insole, and durable construction are comfortable and dependable enough to keep you plugging away so you can get the job done. 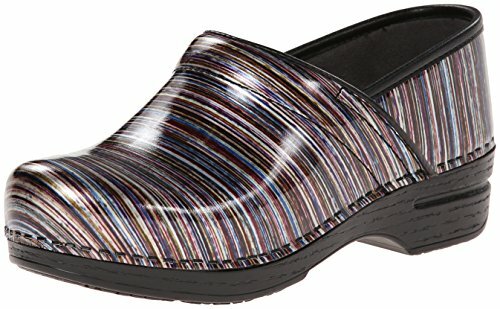 This slip-on style features elastic gores and nylon webbing pull-straps that'll get you moving even faster. The Georgia GR262 Georgia Giant Romeo is a high performance shoe with superior comfort for all-day wear. 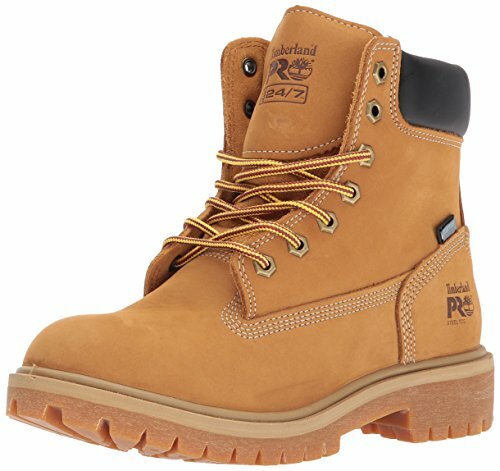 Stay comfortable and protected when you are in difficult work environments with the Caterpillar Echo Waterproof Steel Toe boot. Style numbers: P90565 (Frost Grey) and P90567 (Marlin). Waterproof nubuck leather upper. Features itechnology that combines the durability of a workboot with the comfort of an athletic shoe. Traditional lacing for a more preferred fit. Cement and Goodyear welt construction offers flexibility and long-lasting wear. Nylon mesh lining for excellent breathability. Nylex sock liner provides comfortable cushioning for all-day comfort. PVC midsole offers lightweight cushioning and support. Durable T1170 rubber outsole with SRX technology provides excellent slip and oil resistance. Steel toe rated: ASTM F2413-11 I/75 C/75, which is the highest possible strength for impact and compression. EH rated ASTM-F2413-05 1/75 protects the wearer against open circuits up to 600 volts in dry conditions. Imported. Measurements: Weight: 2 lbs 2 oz Shaft: 8 in Product measurements were taken using size 8, width B. Please note that measurements may vary by size. Weight of footwear is based on a single item, not a pair. The Synergy - Sandlot from SKECHERS Work keeps your feet so comfortable and supported that your work will seem more like play! Smooth leather upper with synthetic overlays. 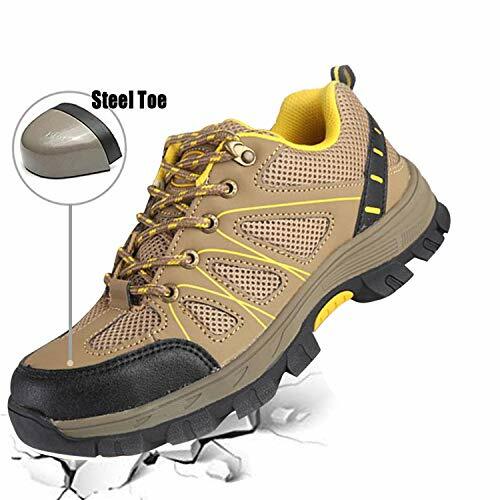 Lace-up sporty work shoe with safety toe and slip resistance. Stabilizing heel overlays. Padded collar and tongue for all day comfort. Soft fabric lining. Cushioned comfort insole. FlexSole shock absorbing flexible lightweight midsole. OSHA compliant slip resistant nitrile rubber traction outsole. Electrical Hazard (EH) Safe design tested ASTM F2412/2413-2011. Sole tested ASTM F1677-2005 Mark II to meet or exceed a .5 coefficient even on wet and oily surfaces. Imported. Measurements: Weight: 13 oz Product measurements were taken using size 7.5, width B - Medium. Please note that measurements may vary by size. Weight of footwear is based on a single item, not a pair. 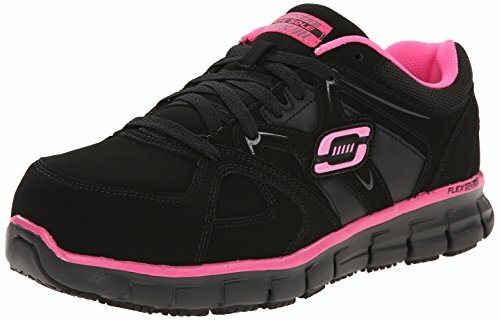 The Synergy - Sandlot from SKECHERS Work keeps your feet so comfortable and supported that your work will seem more like play! Fatbaby Cowgirl Steel Toe Work BootNo task is too tough for the cowgirl in these boots. This performance riding boot features a premium full grain leather foot and Ariat s 4LR footbed, which provides outstanding support and cushioning for everyday wear. The Duratread " outsole is oil-and-slip-resistant and won t leave behind any marks. 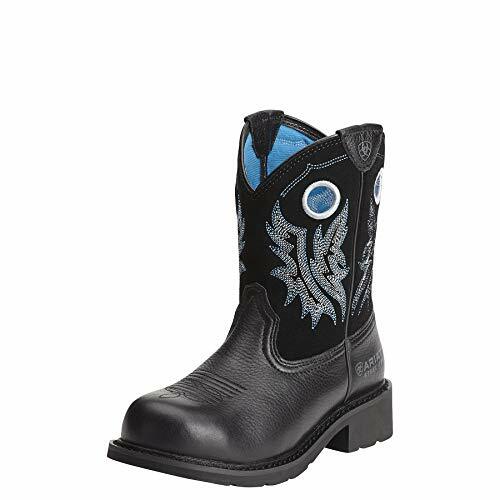 With these stirrup friendly boots you ll ride hard with the best of them. The steel toe is ASTM F2413-11 FI/75 C/75 EH rated. 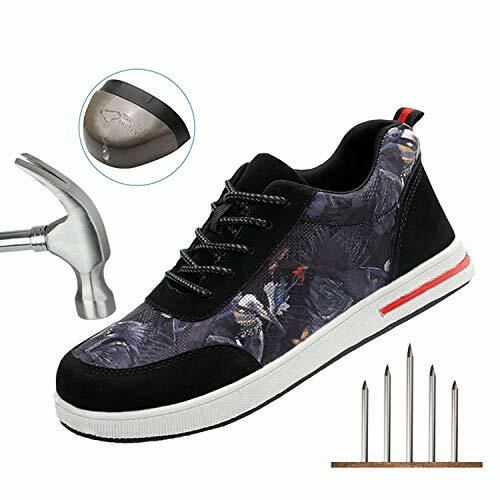 Designed specifically for those who spend hours working on their feet, the multi-purpose work shoe features premium sole that absorbs impact and returns energy to give longer lasting, all-day comfort , stab-resistant steel midsole, anti-bump toe cap to free your move. Below it will help us choose right size for the shoes,please compare the chart size with your feet length carefully before ordering. Designing with innovation,SITAILE develops technically-advanced footwear that brings a superior balance of quality and style to your day.Embracing the philosophy of utility and comfort,we take our customers' active lifestyles seriously,and we know how to cater to both children's and G-adults' feet with our on-trend designs and top-of-the-line quality.SITAILE products are painstakingly engineered to ensure that you get only the highest-quality footwear. Tackle any job in style and comfort with a pair of work shoes by Georgia Boots. 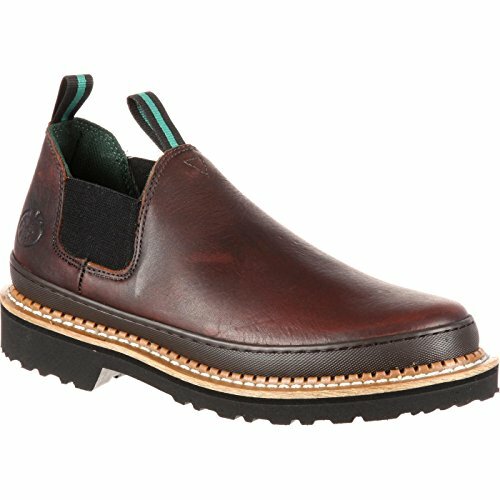 These women's work shoes are constructed of genuine leather with pull tabs and wide side goring for easy on and off. Each women's shoe is equipped with a steel shank and blown EVA midsole for support. 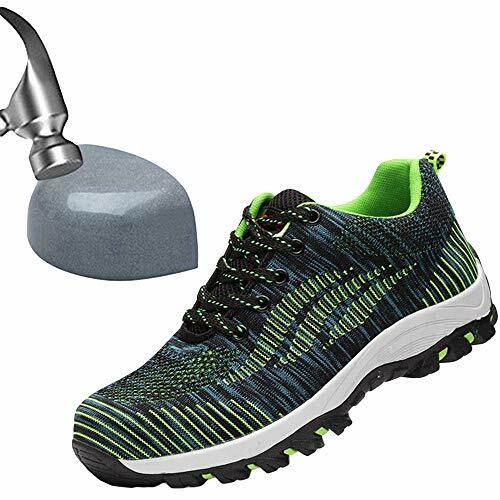 You can stand to be on your feet all day long in these shoes A covered cushion insole and high-performance lining deliver comfortable padding to resist chafing and rubbing. An oil-resistant bumper guard and 4" raised outsole protects you from spills and grime on the ground. 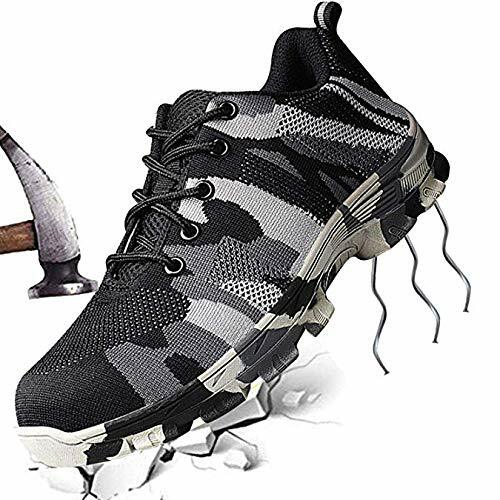 Great for those working on auto manufacturing, construction and machine manufacturing mountain climbing and outdoor trekking.